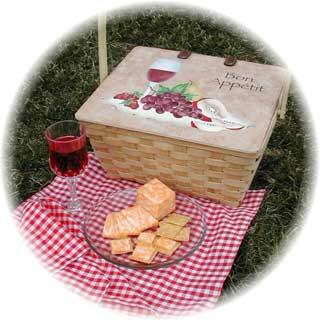 Here's a great way to dress up an inexpensive picnic basket! 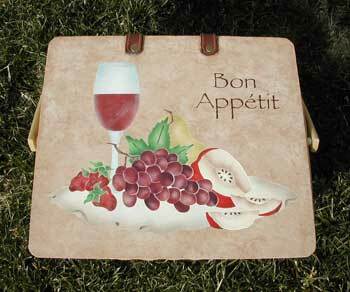 Our elegant Still Life stencil (LA778), complimented by your own custom lettering brings a plain basket to life. Place overlay one on the lid, using a low tack painter's tape to hold the stencil in place. 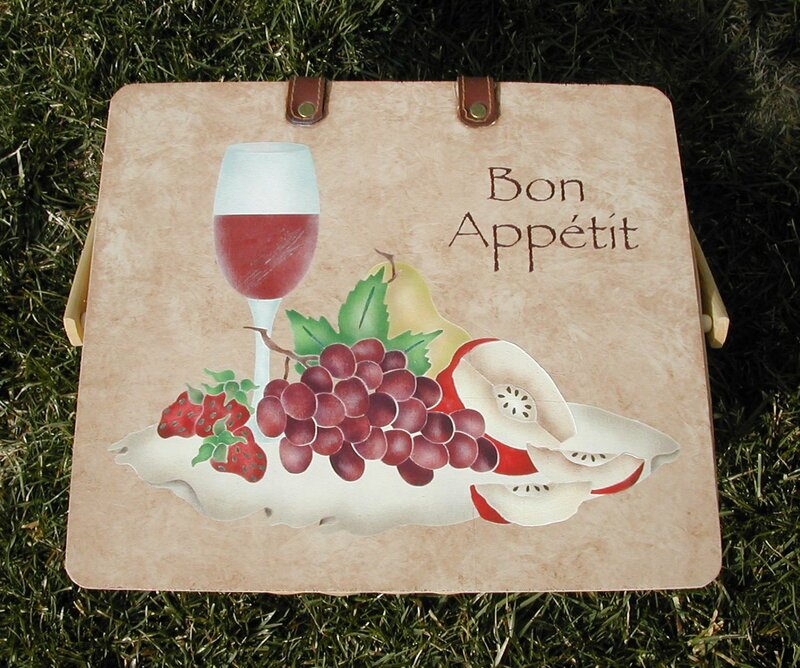 Base coat each design element with F02036 ivory. 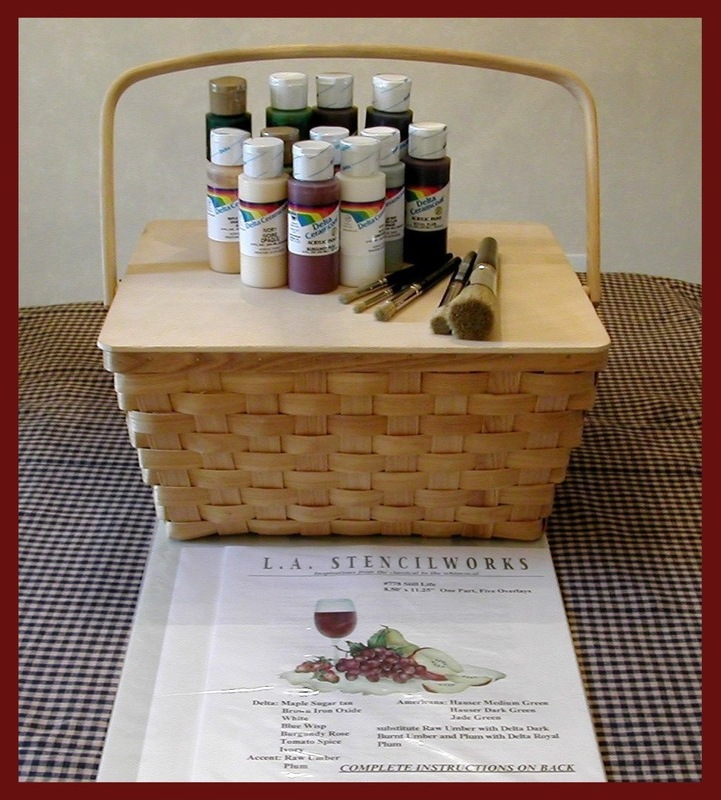 If you've base coated the lid of your basket with a light color, you can skip this step. Apply paint to stencil openings on overlay one, per manufacturer's instructions. Repeat steps two and three, in order, with the remaining four overlays. Use a disappearing quilter's pen or a light pencil to mark the registration triangles. These triangles help you line up each overlay. Make sure each color is dry to the touch before applying the next color. 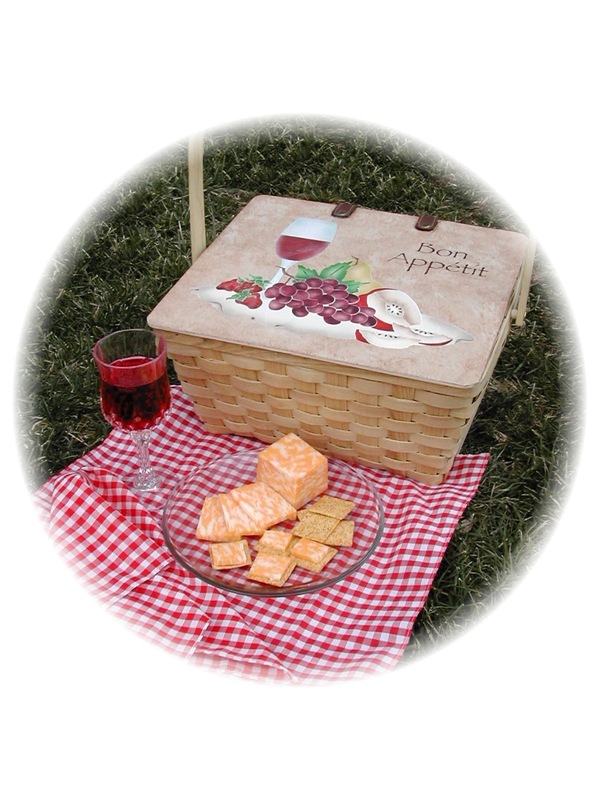 Fill your basket with goodies, and enjoy a picnic in your favorite spot! Number each overlay with a permanent marker. It makes identifying each layer, at a glance, much easier.